Whenever you find a leak in your home, you might not be sure where the source is. Leaks are sneaky. Whenever you find a leak in your home, you might not be sure where the source is. Luckily, we’ve assembled this quick and easy guide to help you find and stop the leak that has been aggravating you lately. Here’s how to figure out where that leak is coming from. First of all, your water meter can tell you something. The trouble is that this might be more time-consuming than you expect. You will need to shut off your water supply so that the reading on the meter is more accurate. 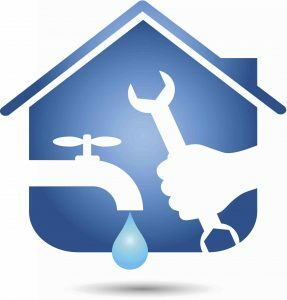 Make sure your faucets aren’t running and shut off any appliances that could be using the water. Once you are confident that you aren’t actively using any of your home’s water, go look at the water meter. If the indicator continues to move, then it means there’s a leak somewhere in your house. Depending on how quickly the meter is moving, you can figure out just how big the leak really is. Looking at the meter isn’t your only option. Along with checking the meter, you can also inspect the water bill. If your bill has been going up, and you have been using the same amount of water that you always have, then it could point out the presence of another leak. It might be time to replace your aging home appliances. Or there are clogs causing problems, but are out of sight, so they’re also out of mind. When you get a hunch that you have a plumbing clog, it’s worth following up on it. Lastly, go outside and take a look around. If the evening is nice and warm, this shouldn’t be a problem. But even though winter is ending and spring is beginning, the weather will still be chill. Put on a jacket before you leave the house. Outdoor water features, hoses, and sprinklers might be leaking too. This entry was posted on Friday, March 2nd, 2018 at 11:18 am. Both comments and pings are currently closed.